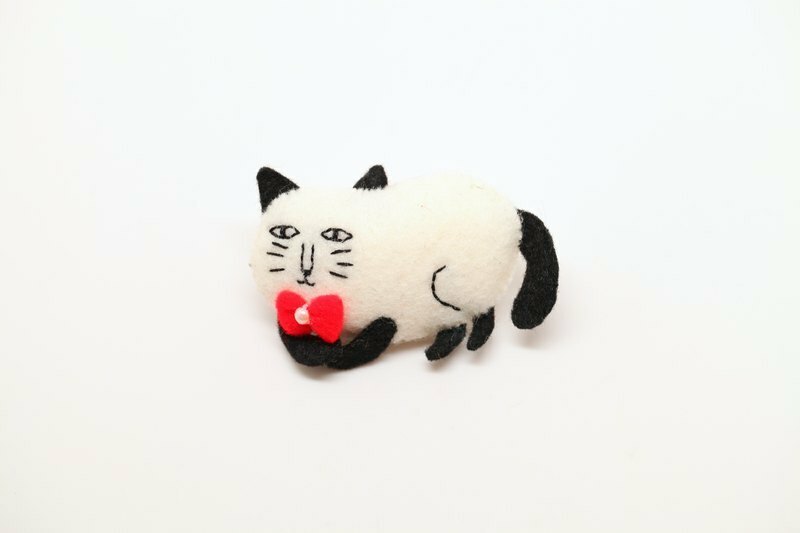 Super cute cats fold hands and pins, can be changed to pendants, magnets, bow color can be changed. https://farm5.staticflickr.com/4360/36541372842_db333908b7_z_d.jpg Cat's classic action! Leisurely rolled up and looked at you with big eyes, How can you not feel it! All five movements of the flower microphone pin, It can be made into a pin or a mobile phone strap. The mobile phone strap comes with a dust plug, which can be black or white. All hand-sewn using non-woven fabric, body size (beige part) is about 6*3.5 cm, Bow color can be changed!